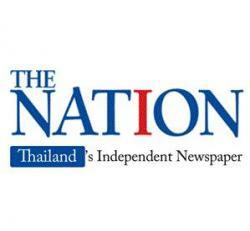 The Electronic Transactions Development Agency (ETDA) said Thais use the internet for an average of 10 hours per day, increasing from 3 hours and 40 minutes last year. This was a result of increasingly digital lifestyles, said ETDA chief executive officer Surangkana Wayuparb. Social media, such as Facebook, Instagram, Twitter and Pantip, is used for as long as 3 hours and 30 minutes per day. Users also stream videos through YouTube or Line TV for an average of 2 hours and 35 minutes per day, according to the Thailand Internet User Profile 2018. Chat applications, such as Messenger and Line, averages at 2 hours, playing online games at 1 hour and 51 minutes, and reading articles or books online takes up 1 hour and 31 minutes per day. The five most popular activities are sending messages at 94.5 per cent, hotel bookings 89.2 per cent, ticket bookings 87 per cent, payment for goods and services 82.8 per cent and consuming movies and music 78.5 per cent. The survey warned that they were at risk of data violations: 43 per cent do not change their passwords every three months; 45 per cent reveal their real birthdays on social media, 44 per cent neglect to check whether a website address starts with “https://” when making payments; 43 per cent open emails or click on links that are of an unknown origin; and 36 per cent upload pictures and videos onto social media immediately after taking them. 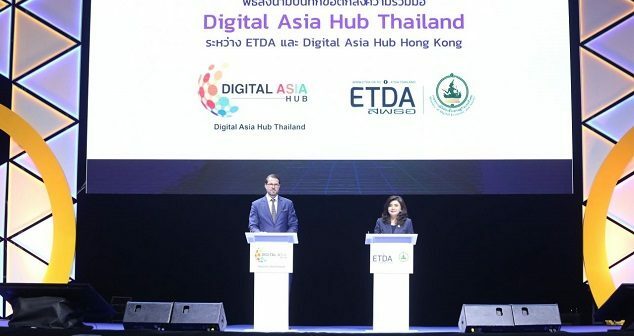 ETDA is planning to work with Digital Asia Hub Hong Kong, a non-profit research centre, to establish the “Digital Asia Hub Thailand”. It will be dedicated to creating networks and fostering cooperation on digital technology, economics and society, which will be open to all stakeholders. Professor Urs Gasser of the Berkman Klein Centre for Internet and Society at Harvard Law School said the establishment of the hub in Thailand was to create a digital revolution in Asean.